The Merrow MG-3DW-2 is Merrow's general overseaming machine for lightweight fabrics. 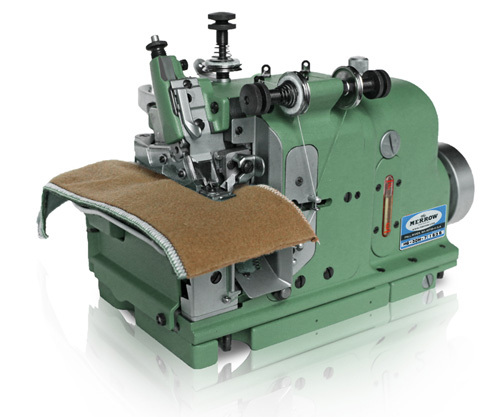 Known for its versatility, the MG-3DW-2 has been in daily operation throughout the textile and knitting industries for decades. 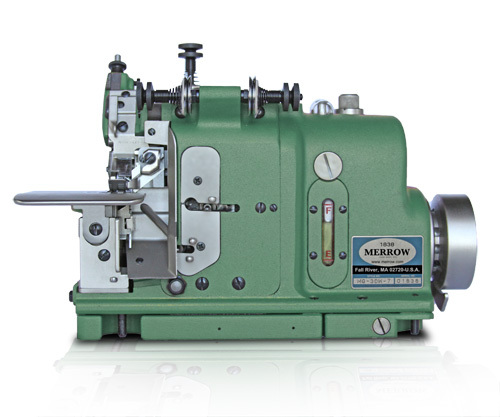 The Merrow MG-3DW-2 is a versatile overlocking machine that sews light to medium weight material. It is designed to handle everything from "shirt-weight" fabrics to cotton duck and knits, and sews a tight needle stitch on sweaters, dresses, girdles, jackets, bedding, and neckwear. The MG-3DW-2 is an adaptable machine for general overseaming and sews a tight needle stitch that will accommodate all types of inserts. The standard seam width is 3/16" and it is used for everything from sportwear to canvas bags. 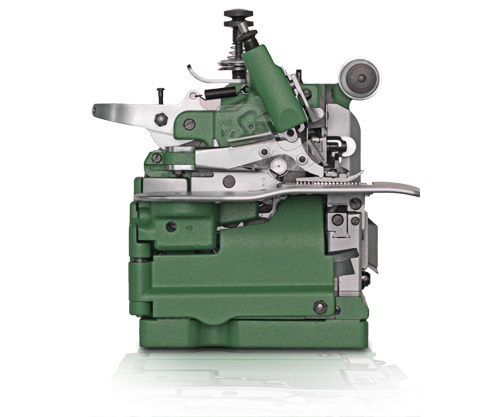 The MG-3DW-2 has wide opening cutters to accommodate multiple types of inserts including crossing elastic sections. For sewing knit fabric, it can be fitted with coarse feeds and a small needle plate for excellent fabric handling. The MG-3DW-2 should be used anywhere that quality seaming is required - lightweight sweaters, blankets, sportswear, or outerwear are common applications. We will build out a custom machine, at no charge, and sew your material off on the MG-3DW-2 (or other machine if appropriate). If you would like a video of the process we will provide this along with the sewn sample.